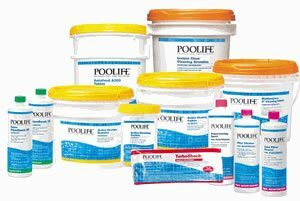 We now have pool chemicals for sale! Order in bulk and save big $$! Do you take care of your own swimming pool? Are you tired of paying outrageous prices for pool chemicals? Sparkling Pools and Spas now offers the below pool chemicals for sale and if you are close to one of our weekly routes you could get free delivery! If you are interested in purchasing any of the below pool chemicals or have any questions call us at 817-559-2132! Chlorine Shock – this is most commonly used for swimming pools in Texas. There is three main types of shock (1) Calcium Hypochlorite – roughly 65% to 70% chlorine, most commonly used. Helps to maintain calcium levels as well; (2) TriChlor – this chlorine is balanced with chlorine stabilizer (cyanuric acid), it is 99% chlorine but is not good to use long term; (3) DiChlor – another stronger chlorine at around 97%, this one is balanced to be safe on vinyl liner and fiberglass pools and spas. Non-Chlorine Shock – this is usually used in stand-alone spas in-between chlorine shocks. The chemical potassium mono persulfate is around 43% strength. Salt Cells/Generators – these pool systems use electrolysis to turn salt into chlorine and sodium. The extra sodium causes the pool’s Ph to constantly rise and need muriatic acid. Salt systems are nice, but they do have a tough time keeping up with Texas summers & winters. Chlorine Tablets/Sticks – these are primarily made of TriChlor (but there are many different varieties with the other chlorine shock chemicals). They are very helpful to keep chlorine levels stable but should not be relied on solely. Misc: Baquacil – this is an alternative to chlorine, and uses a combination of chemical products. This is mostly used in some above ground pools. 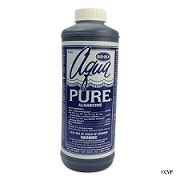 Ph & Alkalinity Muriatic Acid – this liquid chemical lowers both Ph and alkalinity, there are certain ways of adding it to affect Ph more than alkalinity and vice versa. Baking Soda – that’s right baking soda, this powder will raise the total alkalinity of a pool. Soda Ash – this powder will raise the Ph in the pool and slightly raise the total alkalinity. Chlorine Stabilizer/Conditioner – cyanuric acid, this is very much like sunscreen for chlorine and keeps the free chlorine in the pool from being burned up too quickly by sunlight. Algaecides – There are a vast number of algaecides, the best are either copper or silver based. They are for special algae situations. Phosphate Remover – Phosphates are food for algae, your pool can build up high levels of biological material (plants, leaves, people, animals, even rain). If phosphate levels are too high, no matter how much chlorine, or any other chemical you add, you will have an algae issue. Clarifier – this pool chemical helps that water in your pool clear up faster by making small little particles, in the water, stick together and get filtered out. Metal Remover – when certain metal levels in the pool get high they can react with chlorine and cause staining in the pool. If you use a metal remover it not only reduces metal levels in the pool but some brands help remove stains as well. There are many, many other pool chemicals out there to help with certain situations. Feel free to contact us if you have any questions about your pool chemicals.